And we're back again with the main strip! It's Jim here writing this week as Alasdair's off on paternity leave due to the exciting little person waiting to arrive in his and his partners lives. 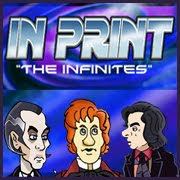 Thanks to Ness for last weeks Infinites strip, hopefully we'll be seeing more from him later in the year. 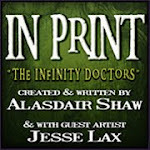 This week we introduce a new character into the InPrint'Verse but a very familiar one to the fans of the New Adventures and Big Finish. And let's face it we've been discussing her in the strip since the very beginning. 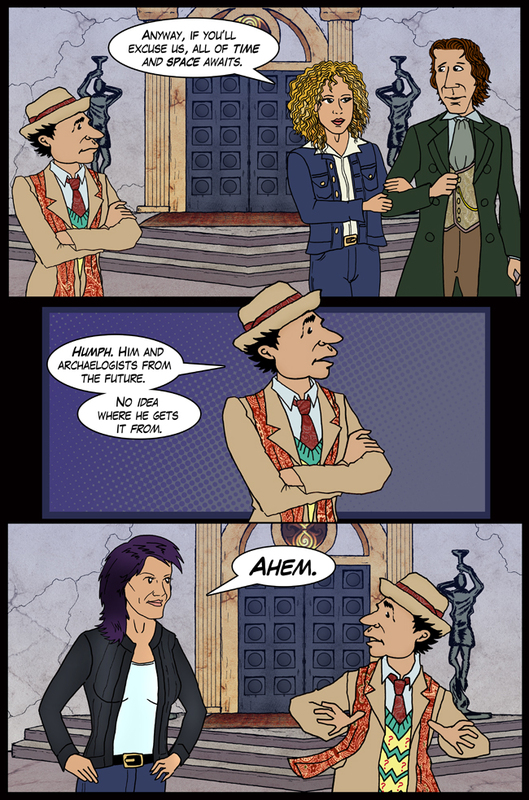 Welcome Bernice Summerfield!